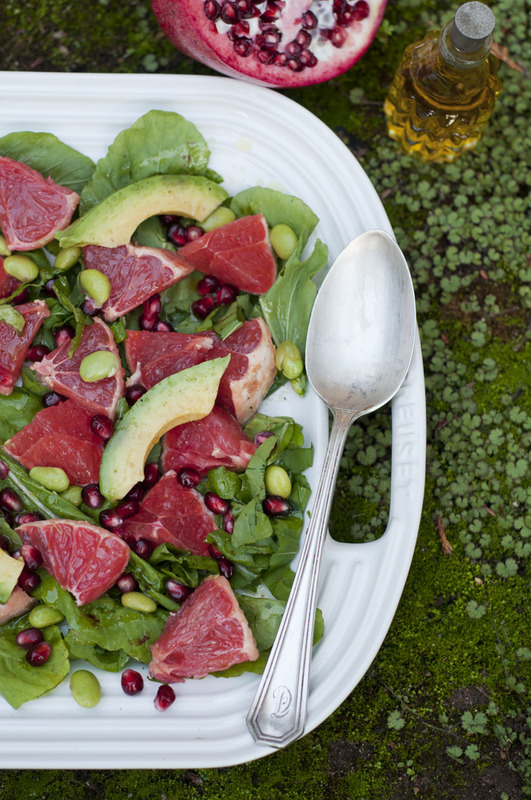 This citrus salad has great colors and is hearty yet light. Go heavier on the edamame (which you can find shelled and cooked at TJ’s) to make this a more substantial dish. If you don’t love “tart” you can use oranges instead of grapefruit. Spinach would be good instead of arugula as well.